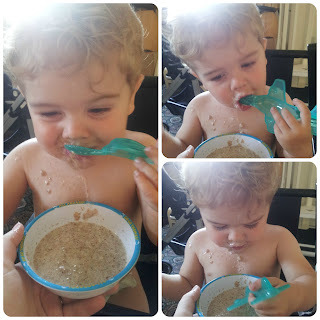 Who hasn't resulted in making aeroplane noises with the spoon to encourage your child when weaning? Or even a train? Luckily we haven't had to do this so much with Jack as he is a keen lover of food, however we have had too occasionally to encourage him to eat a little more. So yet again, Tommee Tippee come to save the day with these wonderful Aeroplane spoons. Not only are the Aeroplane Spoons shaped as aeroplanes to encourage your child, they are also brightly coloured coming in a range of two colours - pink or green. More importantly they come in a pack of two, so you can have one and your child have the other. I found the spoons to be easy to grip for your child, as some spoons can be difficult for children. 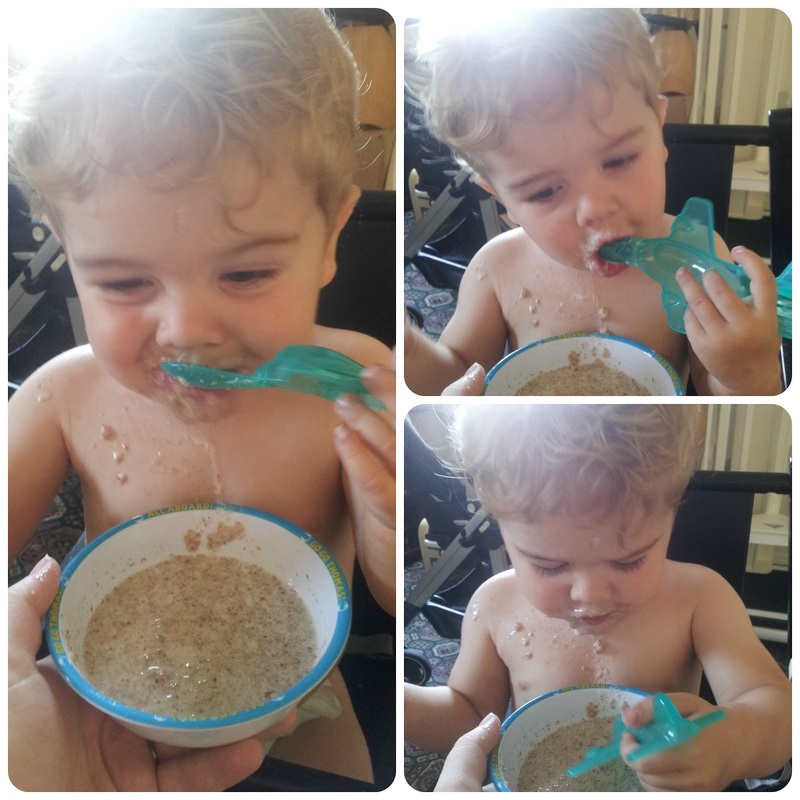 Jack found these a lot easier to hold than some other weaning spoons. We found these a great distraction tool for Jack, not only was he intrigued by the bright colours, but also by the shape. The spoons have a bit of detailing on them, which Jack was intrigued by, after all he is 16months now. These spoons are part of the Tommee Tippee Explora Range, catering from 4 months to 3 years and includes a variety of feeding products such as cups, bibs and tableware. 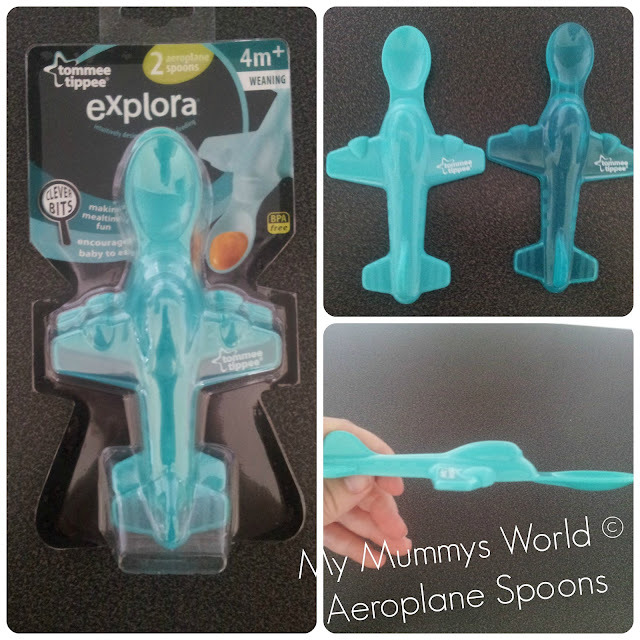 The Tommee Tippee Aeroplane spoons are suitable from 4 months+ although I would probably recommend them a little older, and retail at £3.79 for a twin pack. These look great! I might need to pick my 10 month old up a pack!